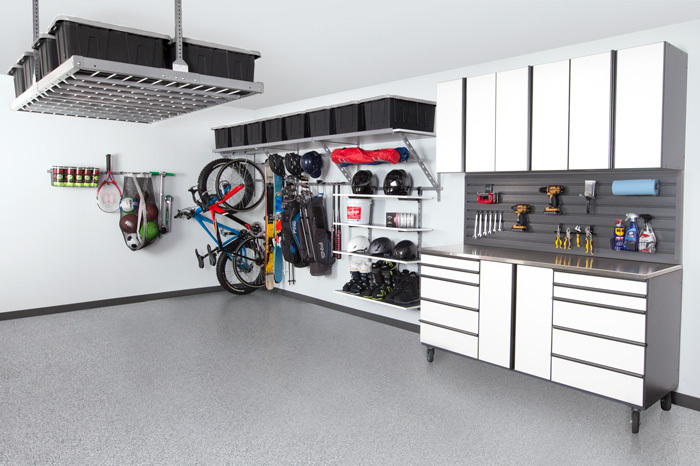 Let your dream garage become a reality with our storage systems. All of our products coordinate to fit your style while looking neatly storing all of your items. The Monkey Storage System is available in two unique powder coated finishes; Granite Gray and Desert Stone. To match with the rest of your garage these finishes are also available in our Overhead Ceiling Racks. To continue with color coordination, our hooks, handles and accessories come in a Graphite Pearl Finish. This color matches perfectly with the rest of our Monkey Bars system and slat wall. Our cabinetry is custom for you and your needs. They can be created to coordinate with the rest of the storage products you choose for your garage makeover in Cedar Rapids. We offer 10 custom designed floor coat finishes. This allows you to protect your concrete and coordinate the flooring to match the storage products. Throughout our years of experience, we have found the most functional garages are the ones with a variety of products and storage space. A garage you enjoy going into is a lot easier to maintain than one with low quality, mismatching garage accessories. Don't settle for a mess when you can have the industry’s most functional products on the market in your garage. Cedar Rapids residents are offered our garage storage systems at a competitive price point. This means your garage makeover in Cedar Rapids is more affordable than you think. We are the exclusive distributor for Monkey Bars Garage Systems in Cedar Rapids. Monkey Bars is the nation’s leading manufacturer of garage enhancement products and we have these products available for you. Not only will your garage have the highest quality products on the market but it will also have a beautiful appearance and design. 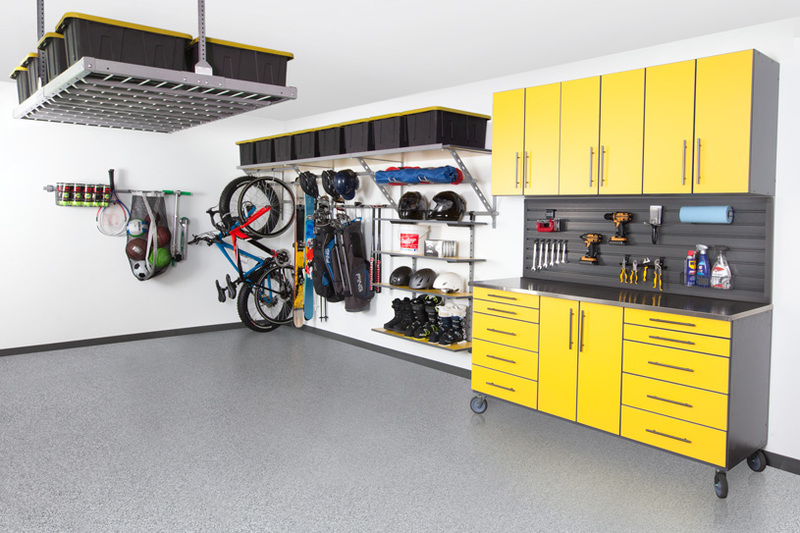 To see what other design features and colors could be installed in your garage, visit our line card gallery.